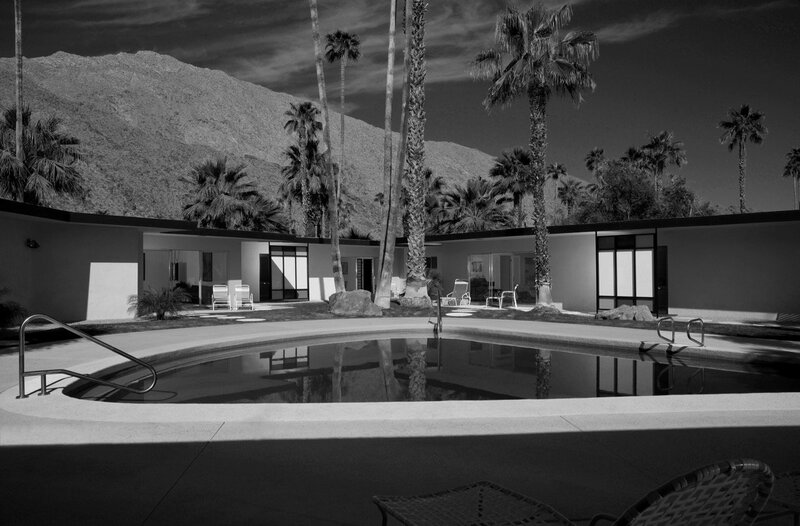 Palm Springs based photographer Dan Chavkin, constantly shows his love for the city and its mid-century architecture legacy, through his work. And, if you follow us on Instagram, you have probably noticed that we are big fans and often share his work. 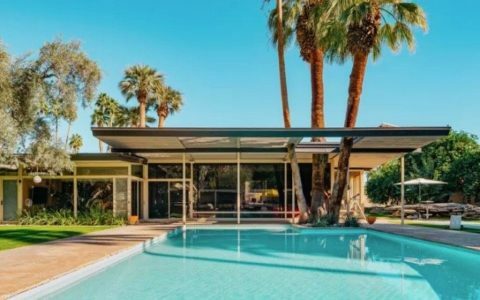 After two books dedicated to Palm Springs, Dan has developed an amazing eye for the real essence of desert mid-century architecture. Today, he tells us about the inspiration driving him and the passion for mid-century architecture. Could you tell us a little bit about your background and describe your work as a photographer? I studied photography at the Art Center College of Design in Pasadena, Ca. I earned my degree in photography and upon graduating, I moved to NYC. I began my photographic career first as a portrait photographer, shooting celebrity portraiture for many major magazines. 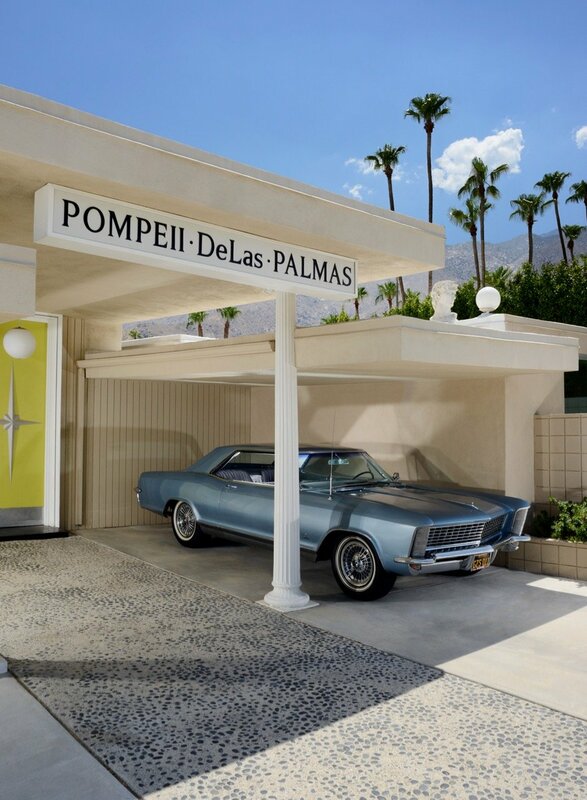 Both your recent book ‘Unseen Mid-century Desert Modern’ and photographic series ‘Mid-century Parking Lots’ focus on Palm Springs and the mid-century modern aesthetic in general. How does your interest in mid-century begin? My interest in all things mid-century began while I was attending art school. It was during this time I got introduced to the furniture designs of Charles & Ray Eames. It is also during this time I began to take an interest in modern architecture. My school (Art Center) is designed by the great modernist architect Craig Ellwood. The school’s philosophy is rooted in the Bauhaus principles of design. Tell us a bit about the book preparation process. How long did it take? How did you find the houses? Have the owners been collaborative or you got many no? And anything else you think can be relevant. 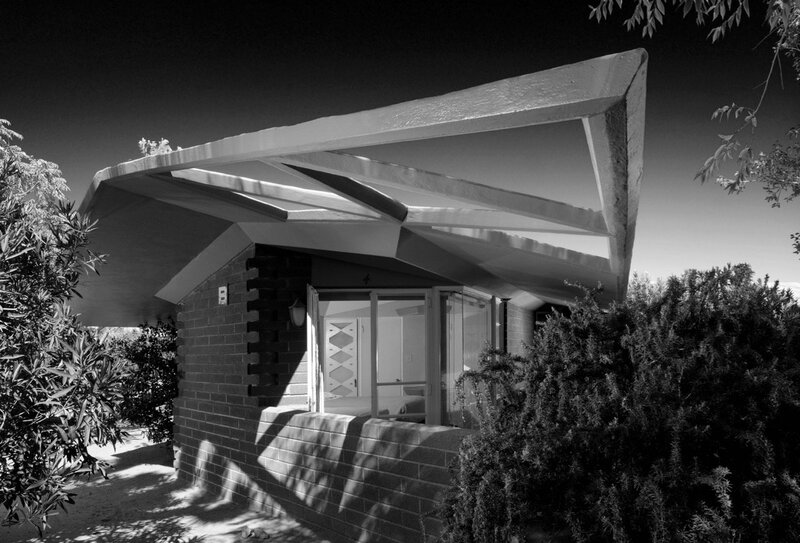 My book, ‘Unseen mid-century Desert Modern,’ began by first being approached by the publisher himself- Gibbs Smith. 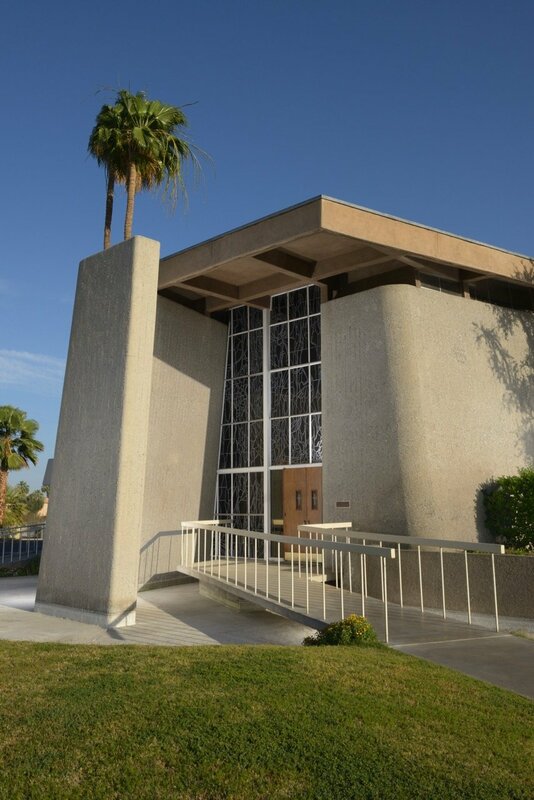 He actually crashed an event I was a part for my first book: ‘Hand-In-Hand: Ceramics, Mosaics, Tapestries & Woodcarvings By The California mid-century Designers Evelyn & Jerome Ackerman’ during Modernism Week in Palm Springs. The Unseen book happened in the best possible way; the publisher approached me. 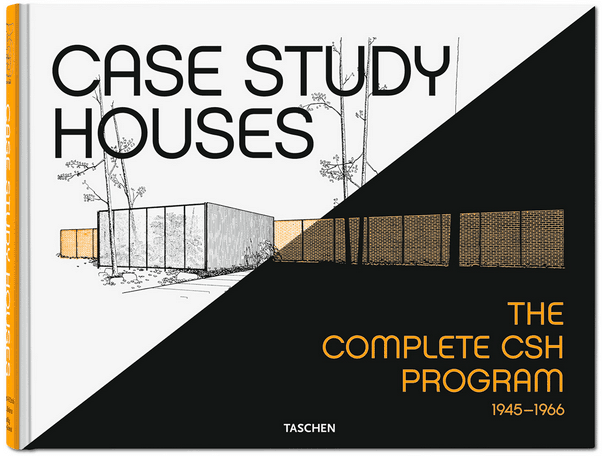 Once he did, It was my idea to make a book based on photographs of examples of often overlooked, under appreciated or literally unseen mid-century modern architecture in the desert. I had very little time in which to put the book together, as my publisher wished to have the book released on time for the forthcoming Modernism Week in Palm Springs 2016. So I was given a very short window of four months to deliver all of the photographs. In order to meet my deadline, I pulled about 30% of the book’s content from my existing archive and the remaining all new material. Having lived in Palm Springs now for over eight years, I reached out to my existing clients and friends for referrals for homes. I also contacted realtors based on listings I had seen on their websites. Most of the homeowners were very agreeable to have their homes photographed for the book, including the representatives of the churches and commercial buildings I photographed. 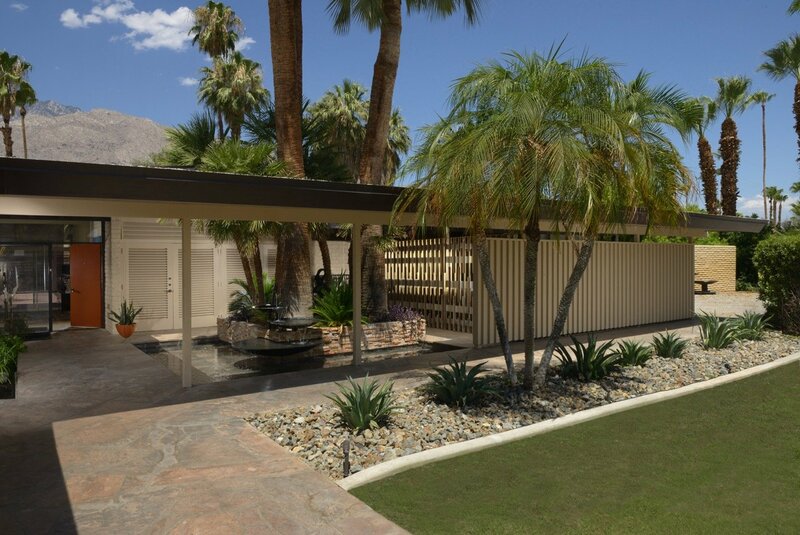 In your opinion, what does make Palms Springs so resistant and attractive today? I am biased. It’s the architecture! It is one of the cities great legacies. 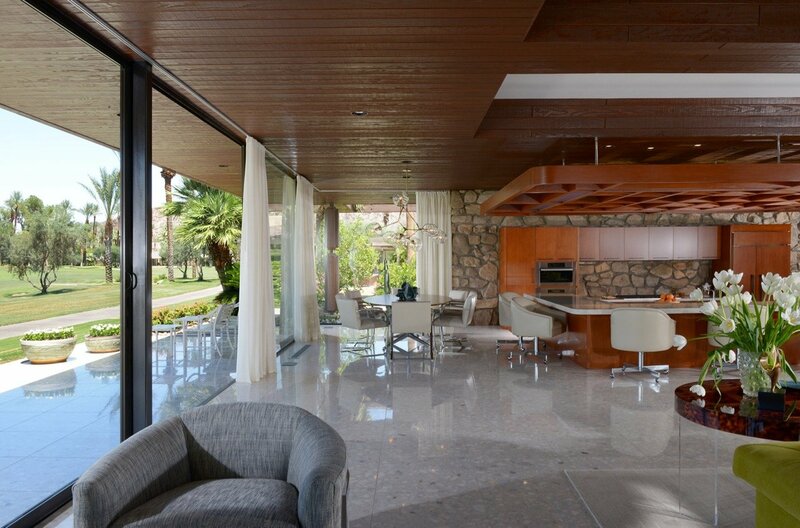 People all over the world visit Palm Springs specifically for the architecture. Obviously the weather and geography play a major role as well. The wealth of mid-century architecture here is staggering! Following on from that, why do you think mid-century architecture is still so attractive and celebrated? 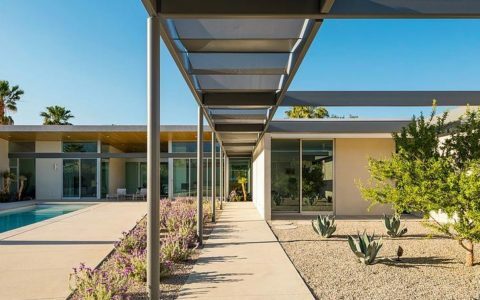 Because at its core, mid-century modern architecture is a language based upon the ideals of living a clean, simple, unencumbered and well-balanced life. The architecture reflects that in its purposeful use of clean lines, walls of glass, open floor plans and devoid of adornment. 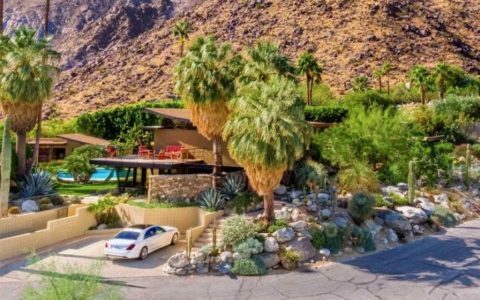 Your successful series ‘Mid-century Parking Lots’, features beautiful vintage cars parked in front of even more beautiful Palm Springs houses. Until which extent do you think a mid-century house owner should embrace the time-capsule lifestyle? I don’t believe one should lead a life as if one were living in the 1950’s. I much prefer to combine the past with the present. I do, though adhere to the idea of restoring a mid-century modern home as close to the original as possible. But to populate a mid-century modern home with exact precise period furniture without a nod to the present, I feel is counter productive. Last but not least, in which of the houses you have photographed would you like to live and why? All of them simultaneously! I think THAT is a well-balanced life.